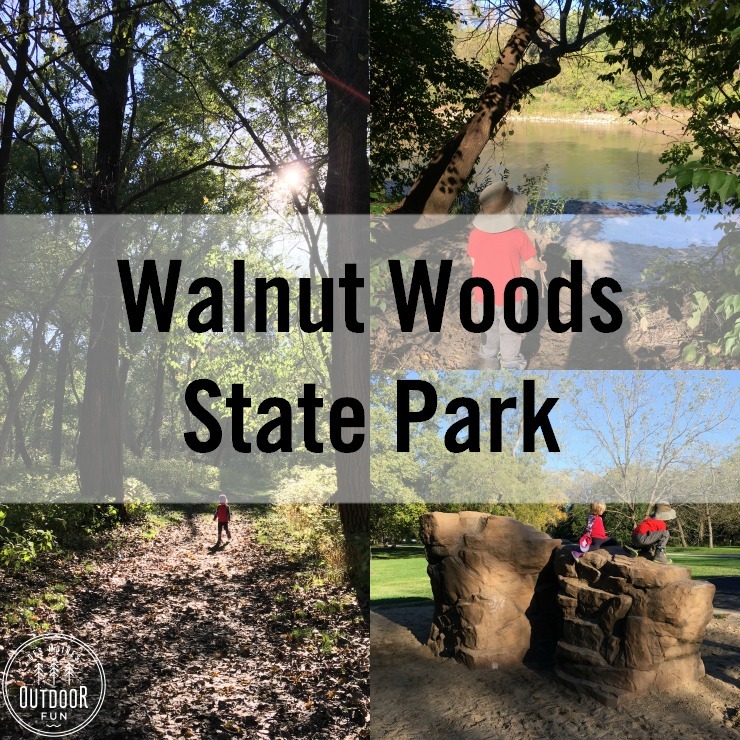 Walnut Woods Park is a short drive from anywhere in the metro, but feels like you’re out in the woods. There are trails as well as a traditional playground, along with a busy bird blind. The playground is small, but has rubber footing under the playset and swings (there is a sand pit, however). 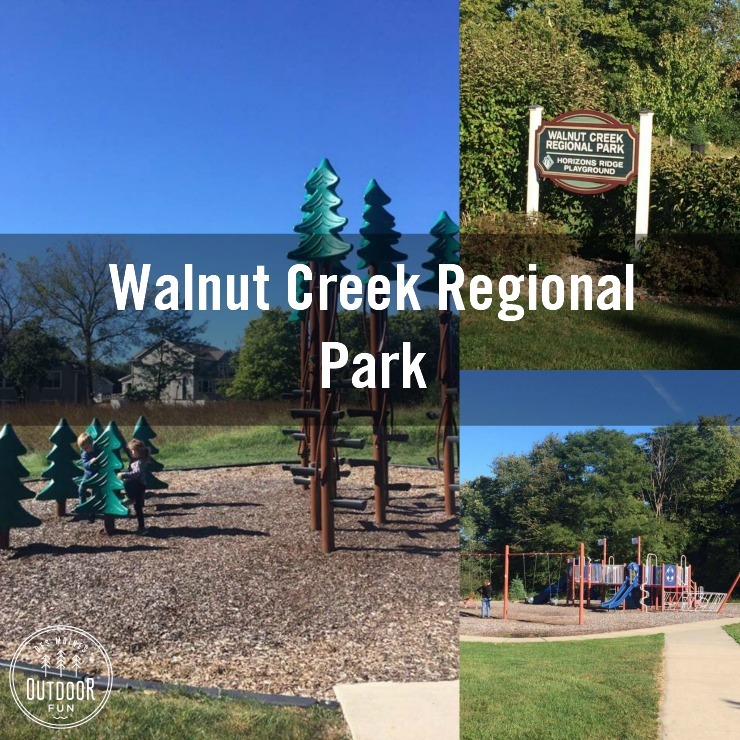 Walnut Creek Regional Park has fun little climbing trees, a playground, and paved trail winding by. There is easy creek splashing access here, you can see more specific details about how to get into the water in this post. 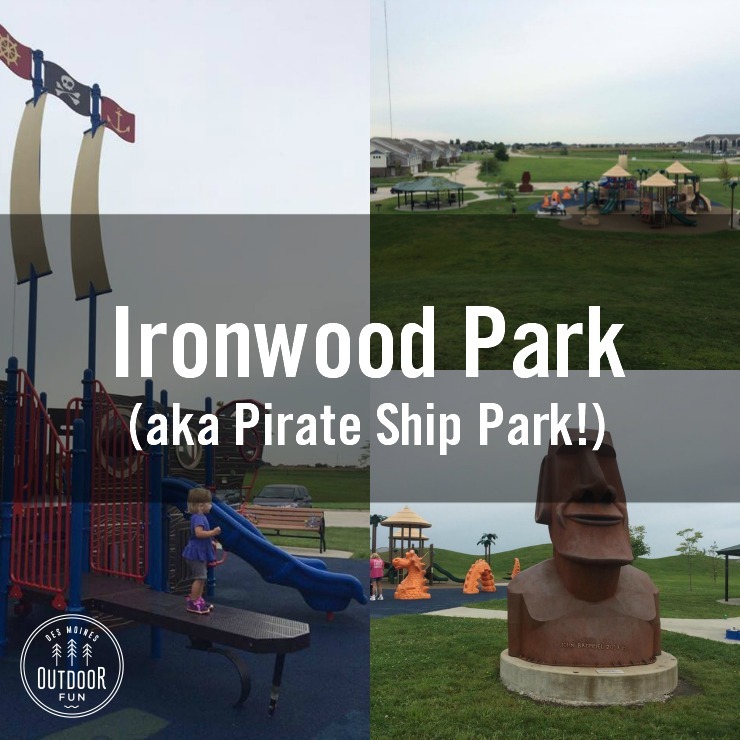 Ironwood Park (aka Pirate ship Park) is a unique playground with lots of pirate elements! Kids can “walk the plank”, see the giant Moai statue, or run up the large hills. 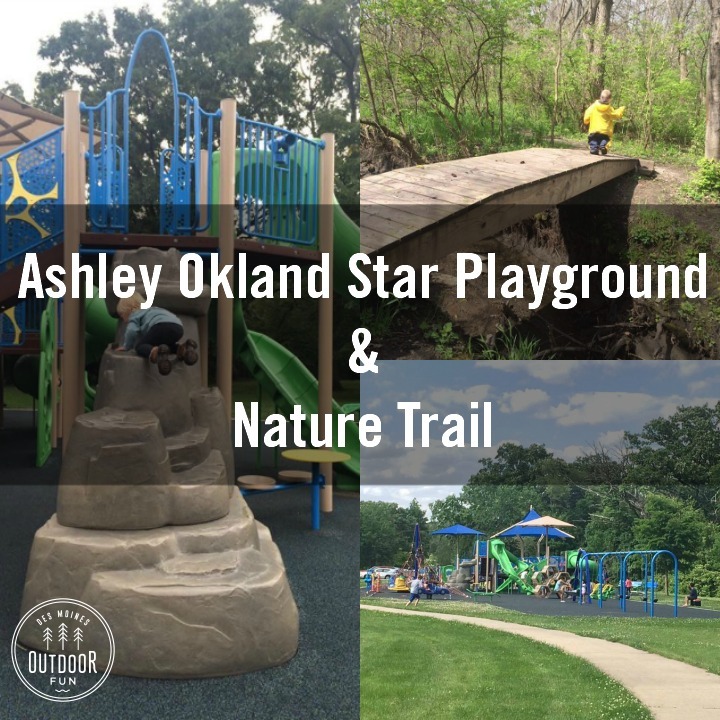 This park has lots of climbing options and the trail makes a loop around the park, perfect for little kids to bike.